From tree top adventures to a ride on the little green train, there's plenty of activities on Sardinia that are great for all the family. The first thing that comes to mind when thinking of things to do in Sardinia must be the beautiful beaches. The Sardinian coastline has many lovely, sandy beaches with shallow clear water that will keep most children occupied throughout much of your holiday. 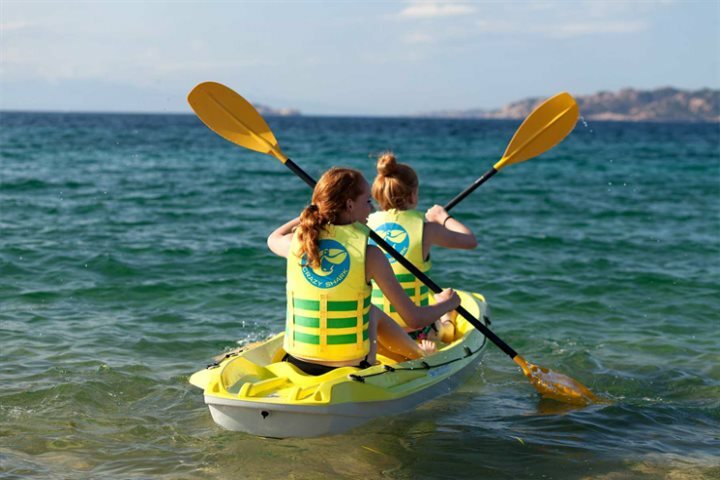 However, if you are looking for further activities for the whole family to enjoy (and it would be a shame not to), here’s our top ten things to do for families in Sardinia. From snorkelling to kite surfing, there are plenty of ways to enjoy the water that surrounds Sardinia, beyond the usual swimming and building sandcastles. You’ll find a good range of operators open in most areas throughout the summer such as Porto Pollo, near Palau in the north which is a favourite spot for surfers. Sailing is also popular, particularly around Alghero, the Costa del Sud, the Costa Smeralda and La Maddalena archipelago. If you are by the sea you won’t have to venture too far to find some interesting rock pools to investigate. See how many different species of plants and animals you can spot. When rock pooling, please keep any handling of animals to a minimum and return them to the pools where you found them. It is also important to remember to replace any rocks or seaweed that you have turned over exactly as you found them. And remember to keep a keen eye on the tides so that you don’t get taken unawares. To learn more about the flora and fauna you may have spotted in the seas and rock pools, visit Laguna di Nora Aquarium in Pula on the south coast. Alternatively, Cala Gonone, on the east coast, has one of the largest aquariums in Italy. If you book in advance you can join a guided tour of the aquarium, followed by guided snorkelling from a nearby beach where you’ll learn to recognise the most common species in the Mediterranean. There are two great water parks in Sardinia that adventurous kids will enjoy. In the north, visit Aquadream in Baia Sardinia on the Costa Smeralda or in the south, try Blufan in Pula. Both have a fabulous range of rides, pools and slides to keep your children happy all day. If your family loves swimming, you don’t have to restrict yourself to the sea or swimming pools. There are many lovely rivers with suitable places for bathing that also make great places for a picnic. 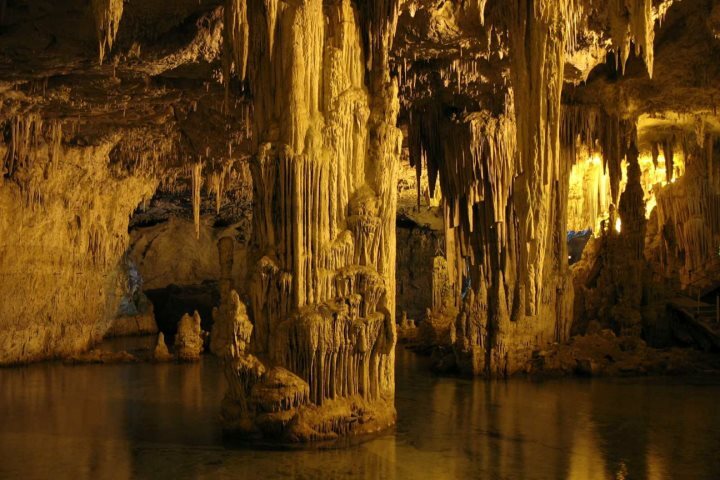 Grotte di Nettuno is a stunning cave system near Alghero in the north west of the island, with beautifully lit stalactites and stalagmites. It is only accessible by boat, but that is all part of the fun and makes for a great day out. Another boat trip that will give you a fabulous view of Sardinia’s rugged coastline, is a trip from Palau or Baia Sardinia to the beautiful La Maddalena Islands in the north east of the Sardinia. Once you’ve had your fill of water-based activities, why not head for the treetops? With ladders, rope bridges, walkways and pirate nets to navigate, Sardinia’s adventure parks offer various courses to suit all abilities. 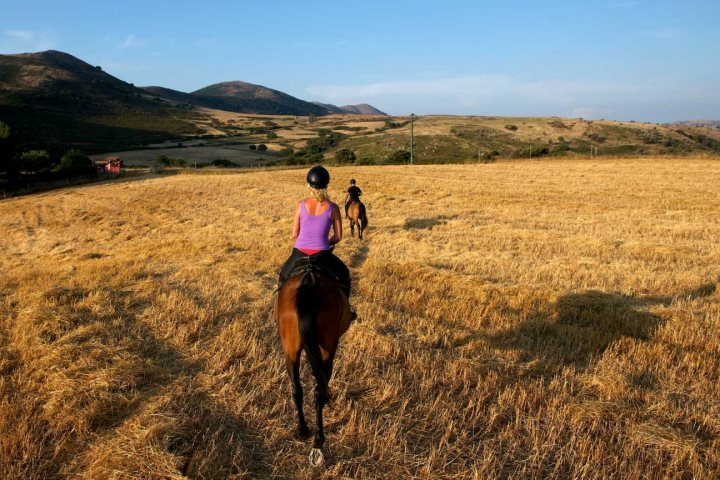 The island has a long tradition of horse riding, and there are plenty of horse and donkey riding centres for kids of all ages and experience across the island. Explore Sardinia’s rugged interior on the Trenino Verde (The Little Green Train). There are routes in the north and central regions offering fantastic views to enjoy on a laid-back family day out. With so many different experiences to enjoy, your family need never get bored. 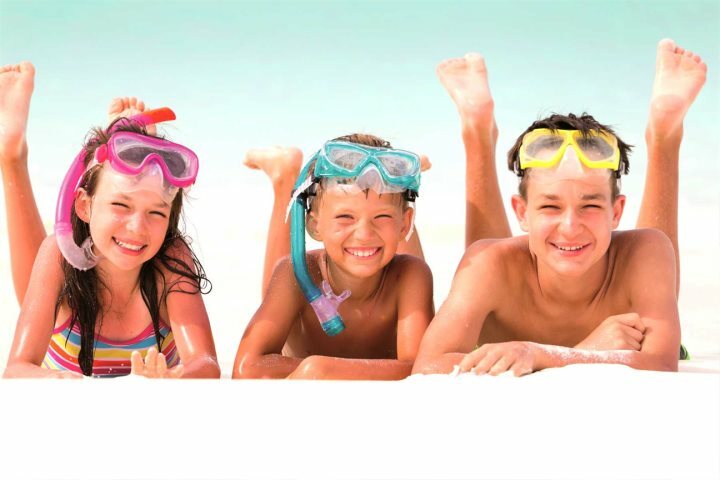 Book your family holiday to Sardinia today!